Disputed deliveries can lead to back office complications, delayed receivables and unhappy customers. To improve service and reduce costs, drivers are carrying smartphones and tablets to use digital proof of delivery (POD) systems. The mobile devices communicate with the company’s back office, keeping headquarters informed of delivery status and other vital data automatically. A comprehensive mobile POD solution such as the Cyan Pickup & Delivery app from Blue Dot Solutions streamlines supply chain operations by automating driver tasks to ensure accurate, on-time and error-free pickups, deliveries and returns. It gives even small companies capabilities that can compete with the tech deployed by logistics giants. 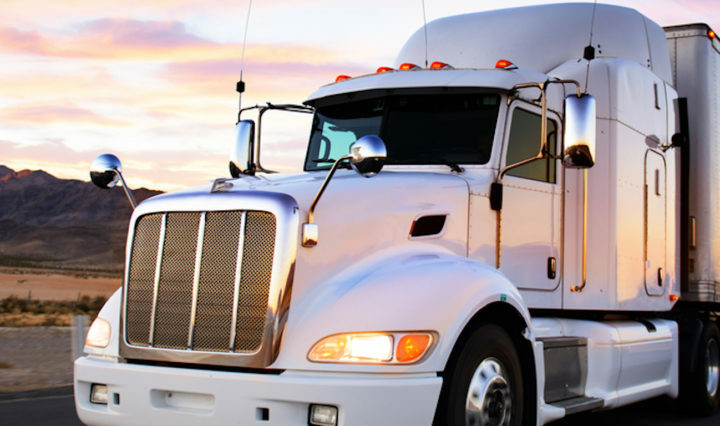 Drivers can electronically complete tasks while they capture proof of delivery documentation such as electronic signatures, photos and notes, and process exceptions and returns. Mobile devices, including rugged tablets like the Samsung Tab Active2 and powerful phones like the Galaxy Note9, can also support other delivery activities, such as barcode scanning and document imaging. Date, time and GPS coordinates are automatically logged for all arrivals and departures. This real-time visibility improves the back office’s ability to deal with disputes that cause payment delays and other problems. Blue Dot initially launched its digital POD solution for wholesale distributors serving building sites and retail stores. With the mobile platform, delivery personnel can have customers verify receipt by signing for shipments using their fingers instead of a stylus with a mobile device. This lets people sign faster, which increases drivers’ productivity and lets recipients get back to work. “The wholesale distributors love it, they’re able to show their customers they can use advanced technology like the big carriers, and it didn’t cost them a lot,” said Randy Starr, vice president of technology at Blue Dot Solutions. Download your guide to mobile solutions that help improve fleet efficiency and compliance. Delivery verification can include photos, so employees can document where the product was dropped off. For example, if a customer reports they’re missing an expected pallet, the company can confirm delivery and help locate the missing shipment. Digital POD pickup services have also expanded to larger logistics companies. For pickups, the app has to be ready to handle returns from overages, shortages and damage. The app allows drivers to capture data about returns while on the go. The software functionality can be customized for specific needs of the company’s supply chain operations. Some organizations will want to plan and track routes and fuel stops. The software includes dynamic hierarchies that can prioritize different stops, including pickups and deliveries. This enforces the driver’s hours of service rules, driving times and required breaks. A customized version of the software allows drivers and managers to focus on only the tasks at hand, reducing the complexity of the application and boosting efficiency. The application is cloud-based so companies don’t have to invest in dedicated IT infrastructure to operate it. “The beauty of the application is that the information is recorded within the app, communicated through the cloud and delivered straight to the back office and all without any extra work from employees,” Starr said. Using the cloud eliminates the need for handling paperwork, and gives managers and employees ubiquitous access to real-time data. Customers can be notified immediately of pickups and deliveries by email or text. Cyan supports both connected and disconnected communications, so users can continue to work off the grid, then upload and download information when they regain web access, maintaining seamless integration with back-office systems. The Cyan mobile platform was designed to accommodate different device types and sizes. The responsive design adjusts the interface for optimum ease of use on any Samsung smartphone or tablet, such as the Samsung Galaxy S9, Galaxy Note9 or Tab Active2. A user can even switch between devices and access the same information. For instance, if a delivery driver uses a tablet in the cab for routing and communications, they can seamlessly switch to a phone for out of the cab tasks. For example, they might double check the delivery order on their phone from the back of the truck before stacking the appropriate packages on the hand truck. Then they can tuck their phone into a pocket or holster while moving the product, and once the boxes are inside the customer’s door, they can use the phone for signature capture for proof of delivery and a photo. By taking the paper out of the paperwork, digital proof of delivery streamlines supply chain operations to ensure on-time and error-free pickups, deliveries and returns. With automated supply chain operations, shippers and carriers can better serve their customers, increase productivity, lower operating costs and increase margins. Discover more technology advancements in the transportation field that are set to dramatically impact this rapidly changing industry. Beyond ELD, learn how to transform the way you manage your fleet, increase efficiency and better retain drivers. How Can Mobile Devices Boost Driver Retention and Enhance Security?